From Nashville To Alsace. Using Real Places as the Settings for Novels. A Guest Post by Julie Stock. This week I'm delighted to welcome Julie Stock to my blog. 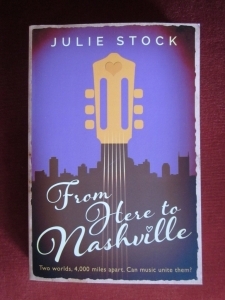 Julie is the indie-published author of the contemporary romance From Here To Nashville. Following on from last week's blog about the importance of settings in novels, Julie is going to tell us about her experience of setting novels in real places. The place you choose to set your story as a writer will either be a fictional place, giving you the freedom to be very imaginative with your description of it, or it will be a real place, in which case, you will be constrained to some extent by the need to be accurate with the details. As I write contemporary romance from around the world, this theme of real settings runs through all my writing making setting hugely important to me and the thing I think about first. My settings are almost characters in themselves. They are an integral part of the story and have a real purpose. For me as well, the choice of setting inspires me, either because I get to write about somewhere I already love or somewhere I would love to go. When I came up with the idea for my debut novel From Here to Nashville, I knew of course that my descriptions of both Poole, in Dorset and Nashville as real places would have to be very accurate as they were both going to play such an important part in my story. However, I was also keen from the start to avoid describing either place as though I were writing a guidebook. I know Poole pretty well but I don't live there and for a long time, I didn't name the town in case I hadn't got the description right. I chose Poole as a seaside town I know well, which is quite vibrant and always seems to be busy whenever I have visited over the years. I felt that it was the sort of place that my character, Rachel would come from and would also find difficult to leave. I made the sea the thing that pulls her to her home town as this theme is close to my heart and a theme, I think that a lot of other people can identify with. It was also easy to let the weather and the condition of the sea mirror her emotions from day to day, giving a sense of the mood of the story and its characters at all times. 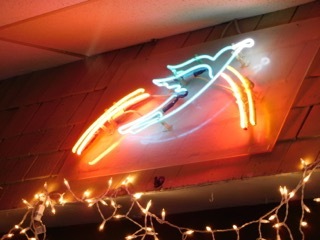 When it came to writing about Nashville, this was made more difficult by the fact that I had never been there. I didn't feel that this was a reason for me not to write about it though and Nashville was the only city in the world that a young singer/songwriter of country music would dream of going. I knew that if I did my research well, I would be able to be accurate about what the place looked like and where everything was. As a lover of country music for many years, that part was relatively easy. After its final edit, however, my editor did advise me to layer in even more significant details into my description to make the place really come alive: things like, the smells and the sounds from the street. For this I had to use my imagination a bit more but it still worked well. 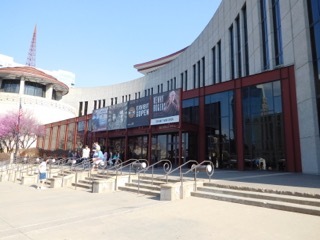 When I finally did get to Nashville two months after my book was published, I visited every single place to make sure that I had done justice to it and I was satisfied and relieved that I had. I'm writing my second book now and I knew this one would be set in France. 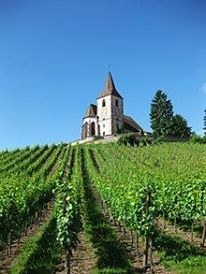 The first version of it was set partly in Suffolk and partly in the Aquitaine region of France around Bordeaux. I know both these regions well but I had written 80,000 words before I finally accepted that it wasn't the story I wanted to write and so I began a very painstaking rewrite. During this time, I struggled with the setting. It was only when I decided that my main character would be French and going back to her homeland after a period of time spent in the UK that things started to come together. Once I'd made that decision, I had to choose the region of France I wanted the story to take place in. Fortunately, I know France very well. I took my degree in French, spending a year there for that and I have French family too but I have also travelled to France nearly every year for the last thirty odd years and visited most areas now. I didn't want to choose an area that everyone knows really well though or that many other romance authors have written about. In the end, it was an easy decision to choose Alsace, which has an interesting history and a long tradition of winemaking so perfect for my vineyard setting. In a former life, I worked for a mail-order wine merchant too, which brought me into contact with many French vineyard owners, allowing me the chance to see how a vineyard operates behind the scenes so I'm hoping that all this knowledge will now come together as an enjoyable read. indicate a need to re-evaluate your plan and efforts. the body generally, you must learn why you have abdominal fat within the first place. start being noticed inside the first three days. Your raise some interesting points, Louise. I must admit that when I was first discussing this guest blog post with Julie, I imagined that she was Poole born and bred. I was rather surprised to find she lives somewhere else entirely. Thanks for dropping by. There is a responsibility attached to setting your novel in a real place. Any mistakes will grate on readers who are familiar with the place - but, oh, the pleasure for the reader of being able to picture a book's setting from their own experience! It is interesting that you say you don't live in Poole, Julie. I imagine many writers would choose their home location for their book. Thanks for an interesting post. Thanks for reading and leaving a comment too, Wendy. It's great to hear that so many other writers think the same way - research is definitely the way to do it, followed by a visit if you can wangle it! Thanks for your comments, Wendy and Jen. Your many short stories have seen such a variety of real and imagined settings, Wendy. One of the challenges you face is to create a setting within the confines of the short story. You have to be able to create the place quickly and effectively to provide the atmosphere and background for the plot. Jen, it's lovely to hear from you. I hope you had a wonderful time at the RWA Conference. Thanks for an interesting guest blog, Julie, on a topic which, as Susanna knows, is close to my heart. Capturing the sense of a place is so important to the believability of a story and the research is fun too! As another country music fan, I'm looking forward to reading your 'Nashville' book. I have written stories about places I know well, real places I have never been to but researched and real places that I have given a different name. Thanks for giving us a great blog post Susanna and Julie. Hi Norah and thanks for popping over to Susanna' blog and reading my post here as well. Yes, that's a good point you make about our environment and how it affects us and the people we become. Writing about how an environment shapes a character is quite a lot harder than just writing about the setting, I think because everyone reacts in such different ways to their environment. I experimented with this to some extent in my debut and will be doing more in my next novel too. You're right, Norah - our environment, especially where we grew up, is an important part of who we are as individuals. Loving a particular place can have a big impact on our lives, too. In my case, I gave up my old life to move to North Wales, where I had dreamed of living ever since I was a child. Thanks for commenting, Norah. Lovely of you to drop by. I'm very envious of the time you have spent in France, Julie, and that you know it so well. I have had ten days in France. I would love to visit Monet's garden. One day, hopefully, I will. 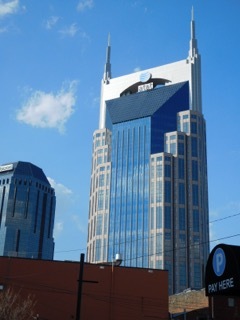 How rewarding for you to visit Nashville and find it was just like in YOUR book!